Today AMD announced that its cloud-optimized Radeon datacenter GPUs will power Google’s Stadia game streaming platform, which Google unveiled today at the Game Developers Conference. Streaming today’s most demanding titles from the cloud requires massive processing capabilities and advanced technologies to tackle unique datacenter challenges from security to scalability. That’s why Google has chosen AMD’s optimized datacenter GPUs – featuring fast, efficient HBM2 memory and critical datacenter features – for the platform. AMD is also supporting Google with its software development tools, including AMD Radeon GPU Profiler (RGP), and its Linux-based, open-source Vulkan driver to help game developers optimize future titles to run on the new GPU-powered platform. RGP lets developers visualize how their application utilizes the GPU and track each rendered frame in real-time, allowing for easy and efficient debugging and optimization through the interoperable RenderDoc debug software. San Francisco, Calif. — Mar. 19, 2019 — Building on a close, long-term collaboration between the two companies, AMD (NASDAQ: AMD) today announced that Google selected high-performance, custom AMD Radeon datacenter GPUs for its Vulkan® and Linux®-based Google Stadia. Google announced the platform today at the Game Developers Conference (GDC) in San Francisco, Calif. AMD also is supporting Google with its software development tools and Linux-based, open-source Vulkan driver to help game developers optimize future titles to run on the new GPU-powered platform. Does it look like custom monster APU with Radeon VII 56CU for better yields/price with Zen2 CPU + 16GB HBM2? Google not giving info on the CPU but list only AMD as a partner- so maybe because it's unannounced zen 2? People with 500-1000Mb connections, no data cap, 1 ms latency and are near from Google servers (>100 Km) maybe could enjoy this streaming service. The rest will "enjoy" big lag, 480/720 up scaled to 1080p/4K gaming...and 1 week use per month (at best) before data cap is reached. most premium tvs will be able to upscale a 1080p/50Mbit signal properly, i doubt this is to replace local installs for AAA titles, nor do they claim EVERY game out there. sony has it on the tvs for years, makes it easy for grandparents to not have to own a ps4, just sony tv and ps4 controller connected to it. outside the fact that google is one of the few with proper resources and infrastructure to do it.. It's not that bad, my experience with similar product (shadow ghost) when i was in France was in 1080 60fps minimum with only 300mbps dwn / 300mbps up connection on a TV set with any AAA game. outside the fact that google one of the few with proper res and infrastructure to do it.. It has already starting replacing local install... the main issue with Google one (exept that it is Google) it is that the price announced is too expensive and there is already some major company that have catched the customer (Sony, Microsoft, NVidia, Shadow...), sadly i think it will finish like Google Music. You don't need APU or CPU for that exercice... Only GPU. 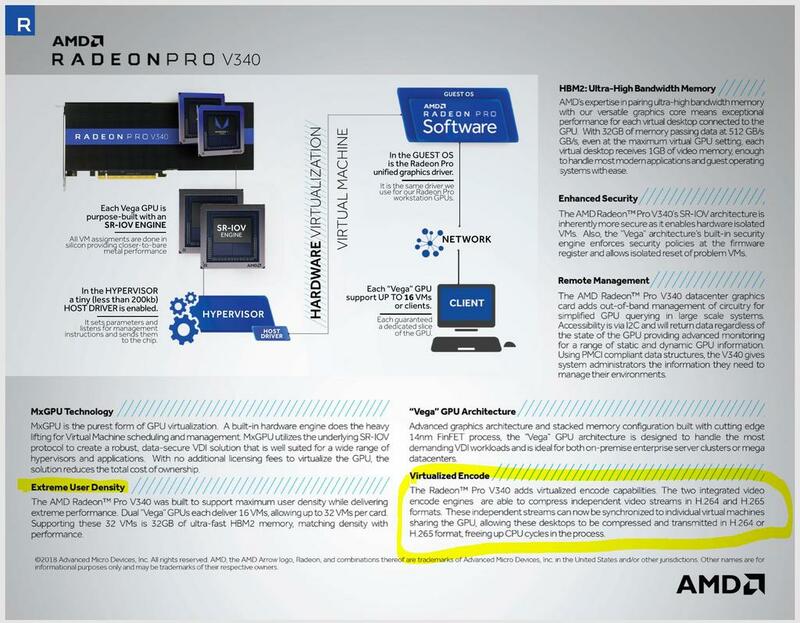 Today I see that it's not an APU, but the interesting part is the CPU- Is it AMD made or maybe it can be Xeon if Intel will agree to Google's terms on Pricing? Or maybe AMD sold the the design like they did with China with Hygon? This will not walk unless the are coordinated with ISPs/router makers to implement proper QoS. yeah, cause google doesnt have anything to do with internet traffic. that are way smaller when it comes to isp use etc, i doubt a major player like google will have problems. qos is already implemented for almost all games produced (again by smaller companies than google) so why would this be any different? e. g. i don't know any other company that is able to lay their own transatlantic (data) cable, outside telekom/phone companies..
how long till they find out the deals a dud? pay less for the hardware, more on power bills. Not everyone on this planet pays the same amount for power, nor is everyone playing 24/7. You know how long it takes to spend 3-400 on power (for gaming alone) vs buying a console?